Bill Medal - THE MASSACRE AT LE PARADIS - HELL IN PARADISE - MAY, 1940. 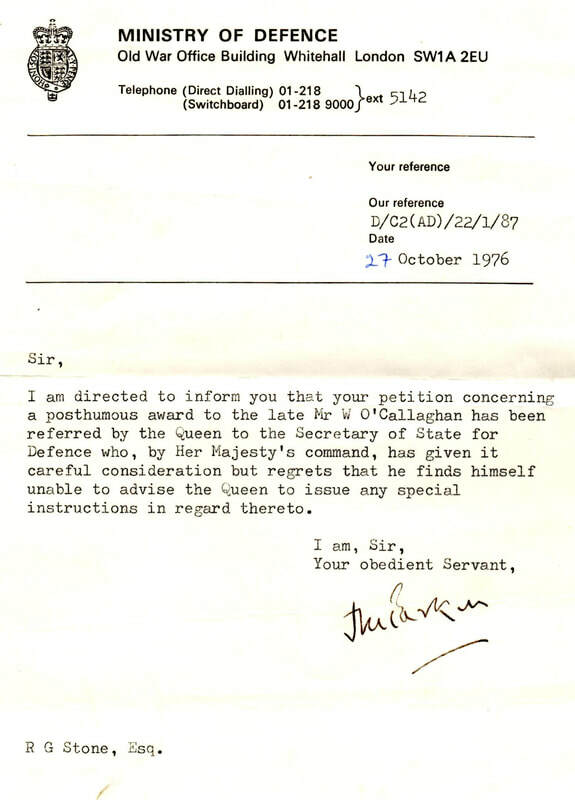 There have been attempts over the years to obtain a medal for Bill O'Callaghan to mark his outstanding bravery. 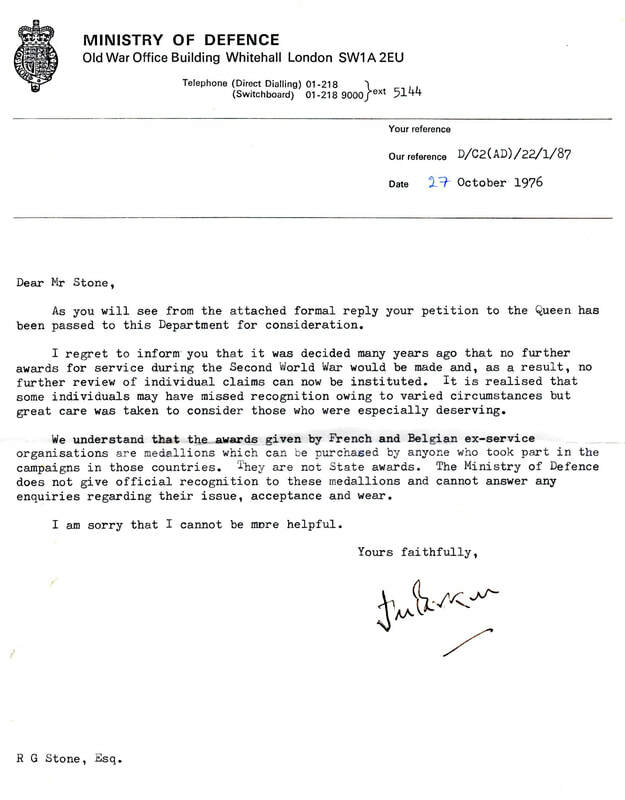 To date these have not been successful as the two letters from October 1976 illustrate.